Saint-Gobain, the world leader in the habitat and construction markets, designs, manufactures and distributes high-performance building materials, providing innovative solutions to the challenges of growth, energy efficiency and environmental protection.With 2013 sales of €42 billion, Saint-Gobain operates in 64 countries and has nearly 190,000 employees. 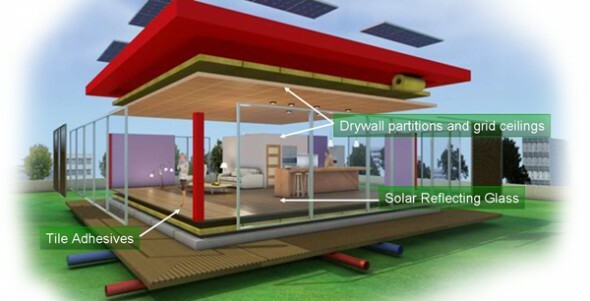 We are constantly innovating to make homes more comfortable, cost-efficient and sustainable worldwide. Saint-Gobain solutions span from self-cleaning windows and photovoltaic glass to smart insulation systems, water supply systems, solar solutions and building materials distribution. The market leader in all our businesses, we offer solutions to the major challenges of energy efficiency and environmental protection. No matter what new needs emerge in the habitat and construction markets, the future is made of Saint-Gobain. Since 1665, Saint-Gobain has consistently demonstrated its ability to invent products that improve quality of life. As one of the top 100 industrial groups in the world, Saint-Gobain continues to deploy its technological know-how, often in partnership with the most prestigious universities and laboratories. To give an idea of our commitment to innovation, 20% of Saint-Gobain products did not exist five years ago.